The last day of my Hertz adventure has arrived and that means it’s time to stay a little closer to home, so I can return the car before closing time. The weather is spectacular today (29 degrees and sun), so I decide to head east into the countryside, away from the hordes of tourists that will inevitably take up the coastline. 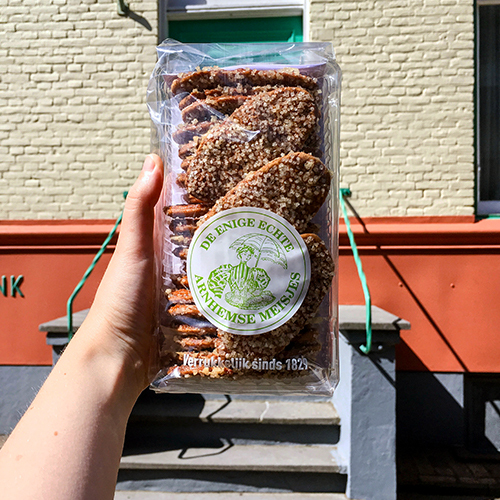 I decide to explore the combination of city and countryside, and when I’m in the area, I have to get my hands on the local classic of Arnhemse Meisjes. 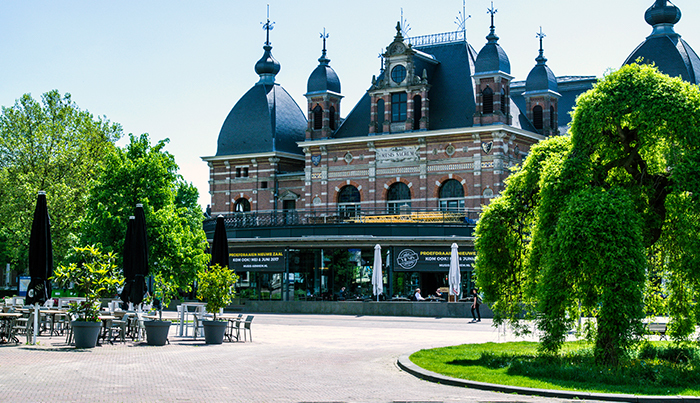 Despite not visiting that often, Arnhem is one of my favourite Dutch cities. That’s not due to its looks, because it’s not nearly as impressive as Amsterdam, Utrecht or even Den Bosch. But Arnhem’s got a great vibe. It’s bustling and upcoming. In some ways it reminds me of urban Rotterdam, but with better nature surrounding it. Our first Arnhem-stop was foodie related. We went looking for the real Arnhemse Meisjes: crispy flat cookies made of yeast dough, sprinkled with sugar. 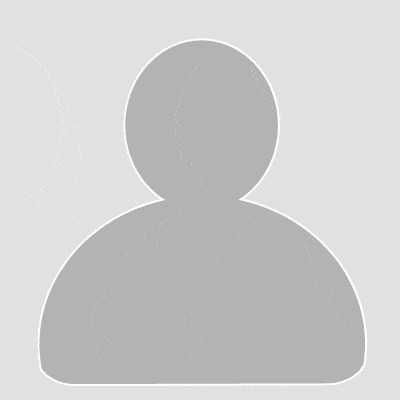 It might seem easy to find Arnhemse Meisjes, but I’m sad to say – you’d be cheating. 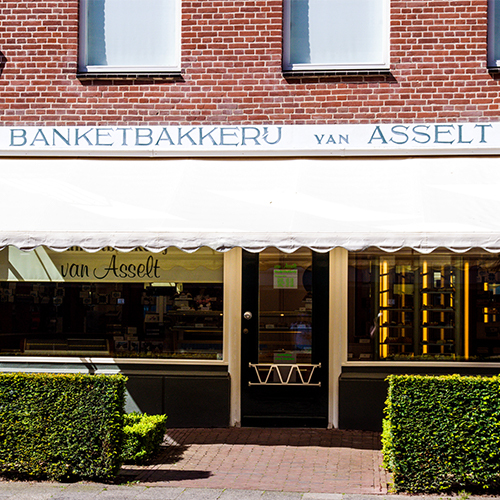 There’s only one bakery that makes the traditional cookies with yeast dough, and that is Banketbakkerij (Confectionary) Van Asselt. 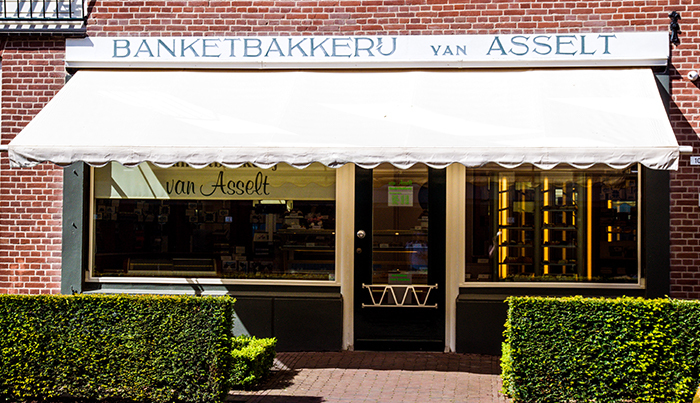 The original cookies were first made in 1829, not by this bakery, but Van Asselt has been making them and getting famous for them for many decades. The recipe of the cookies (still handmade every week) has been featured in Roald Dahl’s Revolting Recipe Cookbook. The writer fell in love with the cookies when first tasting them when he was in town for a book signing. Fast forward a few years and countless boxes of cookies that were shipped to the UK, and he asked to feature the recipe in the book. I obviously had to taste them: they were delicious, and very addictive. The lady who works in the confectionary loves sharing the story of the bakery with her customers, as well as giving us many tips for places to eat in Arnhem. After our sugar fix it was time to explore Arnhem. 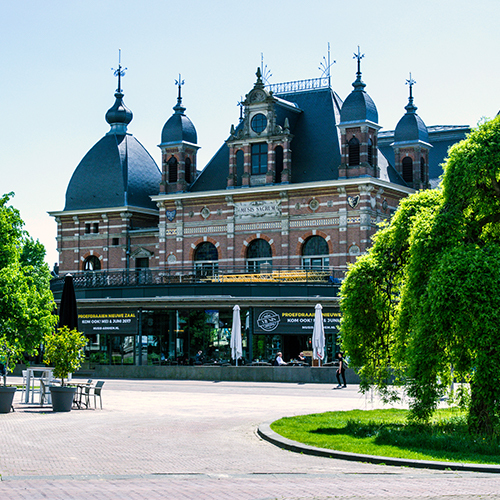 Don’t miss one of the more recognizable buildings: the Musis Sacrum, a concert hall. The building always reminds me of Paris or Budapest. Other than that, the Duivelshuis is worth a visit. If you enjoy churches, the Eusebius church comes recommended, as you can take the elevator to the top from where you have an amazing view over the city. Above everything I just really enjoy the atmosphere in Arnhem. It’s full of original stores with fun home accessories, local clothing brands, and some funky cafes and restaurants. I could see myself living here. The area called Modekwartier is my favourite bit. We had lunch there at Caspar, in the sunshine. We opted for an amazing chickpea burger with goat’s cheese and salsa, and a BLT on cornbread with creamy mayonnaise. 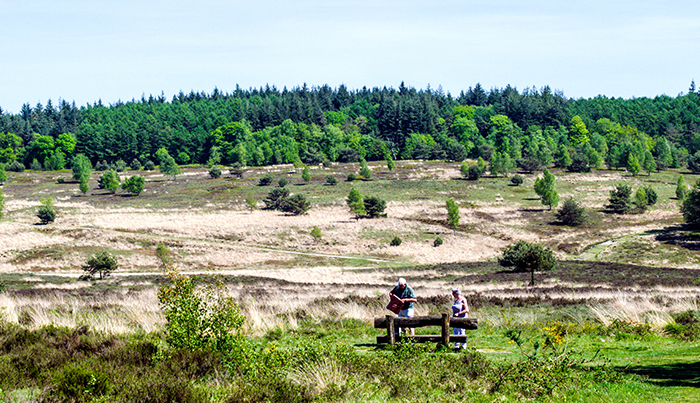 Time to escape the big city and head north of Arnhem, to the Veluwe area to find peace and quiet. 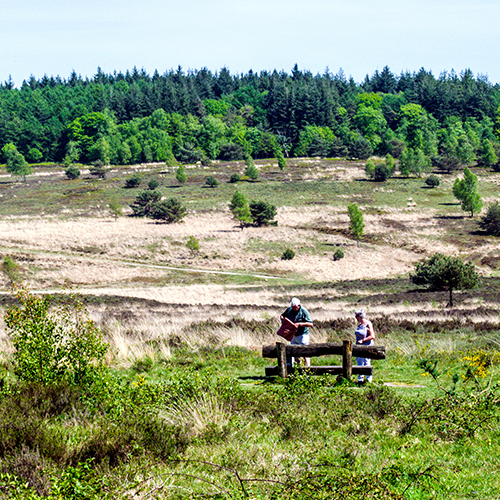 We haven’t actually been in the Veluwe, but we did drive around the area. The route from Arnhem to Otterlo was amazing, and from there we drove via Hoenderloo to Uchelen and via Kootwijk back to Utrecht. With regular stops to appreciate nature of course. Being in such a natural area with only small towns, a car rental comes in handy, so you can stop to take pictures whenever you please. 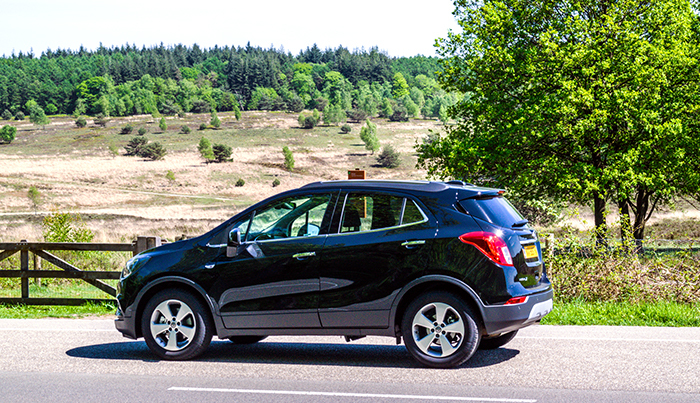 I was grateful to have my Opel Mokka Turbo to explore! After this it was time to return to Utrecht, where I returned the car. 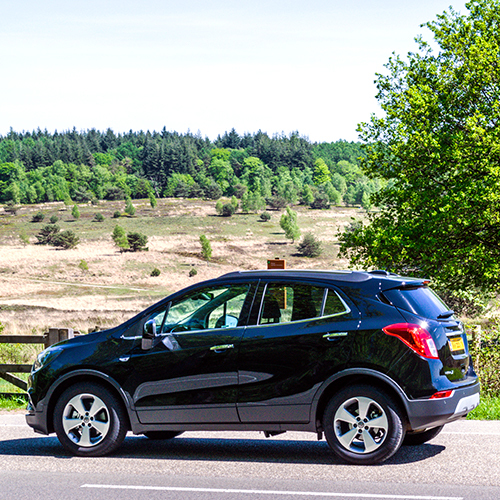 What is your favourite place to go on a road trip in the Netherlands?